Inspired by a past landscape of the Chatsworth Estate, this conceptual garden echoes a ‘lost’ village that once stood in the shadow of Chatsworth House before being removed to make way for Capability Brown’s famous landscape. The planting references the indigenous landscape combining native plants with decorative varieties introduced in later years. 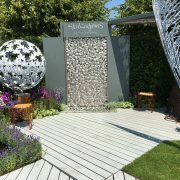 Sponsored by Brewin Dolphin, this garden affirmation from the public with The People’s Award for Installation at RHS Chatsworth Flower Show. We supplied Elveden Instant Beech Hedge for this garden. The garden focuses on using natural materials to create a more peaceful area to live in the garden. With an emphasis on recycling and reusing materials, this garden caters for a family, the garden is divided into sections by sliding barn doors. At the rear of the garden there is a dedicated play area with rope swing and playhouse, meanwhile, parents can entertain in the free-form concrete seating and dining area or relax in a quiet corner. 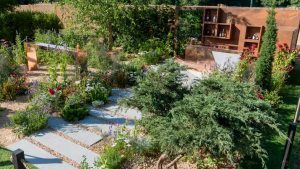 This garden was awarded a Gold Medal by the judges at the BBC Gardeners’ World Live. We supplied Practical Instant Native Mix Hedge for this garden. 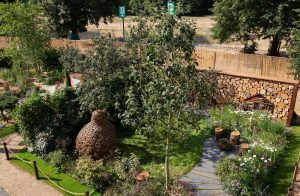 At RHS Hampton Court, we are supported three out of the four Lifestyle Gardens, as well as a trade exhibit. Practicality Brown have a full page editorial feature in the January 2017 edition of industry publication, Pro Landscaper in their Nursery Factfile section. We used an instant hedge from Practicality Brown for our RHS Hampton Court garden this year. I had struggled to find what I was looking for with other suppliers and Practicality Brown was extremely helpful and accommodating. It found what I wanted and sent me photos prior to delivery as I was not able to visit to hand pick them. I have specified its hedging on other projects which has always been good quality. I have loved working with Practicality Brown over the years because I know it offers sturdy field grown stock, including the lovely mixed native hedging that I recently ordered for RHS Chelsea. The other great thing about ordering is the service, which is always friendly and helpful. Its cliché but really nothing is too much trouble. 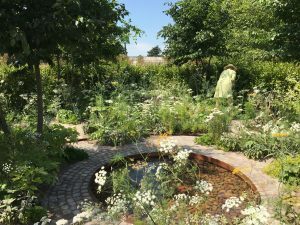 The RHS Hampton Court Flower Show 2016 has showcased more stunning garden designs this year, made all the more challenging to create due to the unseasonal weather. 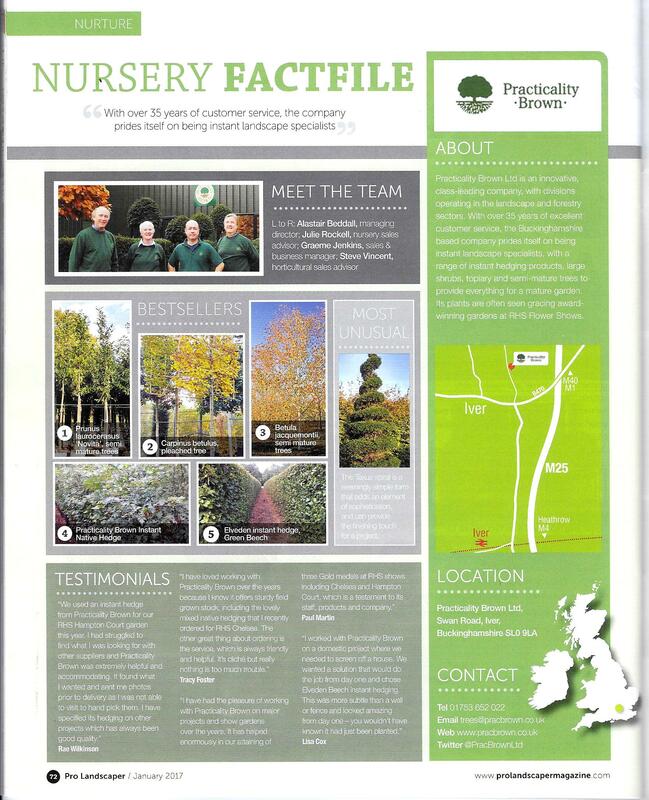 Practicality Brown are proud to have contributed to the following medal-winning gardens, for which we provided Elveden Instant Hedge, Elements and hedging plants.